Reno Hi-Fi, Inc. and Pass Labs are available to personally help you with any questions or concerns. 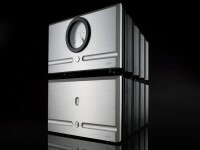 Reno Hi-Fi, Inc. can be contacted at sales@renohifi.com and by phone at 775-829-7333. Pass Labs help is service@passlabs.com and phone 530-878-5350. Reno Hi-Fi and PASS constantly hear that we are some of the most helpful, dedicated and accessible professionals in the audio industry. Below are some Frequently Asked Questions and answers to frequent misconceptions about PASS products. Where can I find reviews of Pass Labs products? There are many reviews of Pass Labs products on the “Reviews & Awards” page at www.PassLabs.com. How do I register my Pass Labs or First Watt warranty? The Pass Labs and First Watt warranties are three-full-years and are automatically transferred, without notice to the factory, to the owner of the product during the three-year warranty period. You don’t need to do anything. Pass Labs’ policy is that the warranty starts when the product leaves the factory. 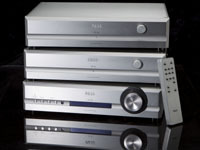 Reno Hi-Fi keeps a huge inventory of new Pass Labs products in stock, and this stock may be in inventory from a few days to a few months. 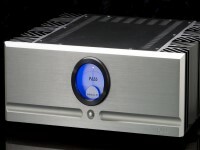 When a new product leaves Reno Hi-Fi, it has a full three-year factory warranty. 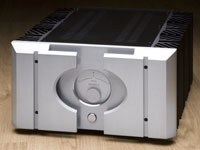 Upon request, after the ten-day in-home demo, and after the product is fully-paid and any trade-in item is received in the condition stated by the buyer, Reno Hi-Fi will mail a signed receipt on Reno Hi-Fi letterhead stating the warranty (which of course will be the length promised when the transaction was started). Reno Hi-Fi has never had a warranty complaint. Is a product the latest version from Pass Labs? 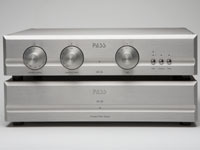 There is only one version of PASS XA.5 amps. There has been no change, and there are no changes planned to the XA.5 line (XA.30.5, XA-60.5, XA-100.5, XA-160.5 and XA-200.5). All the XA.5 amps of any particular model are the same. 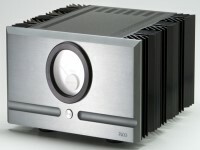 There are two versions of the X.5 amps (X-150.5, X-250.5, X-350.5, X-600.5, X-1000.5). Amps manufactured before February 2008 are very slightly different than those made after that date. There is an obvious way to tell which version of the amp when you look at it, while sonically the changes are very subtle. The newer and revised X.5 amps have a “signal ground pin” on the rear of the amp, and the earlier models do not have a signal ground pin. Also, the newer version of the X.5 amps received a layout change that some listeners feel offers a slight performance advantage. 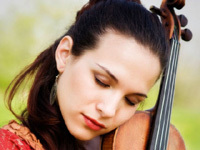 Any listening improvements as a result of these changes is small and frequently system dependant. Either version of this product represents an excellent sonic investment. What is a “Signal Ground Pin?” This pin is a connector allowing an “audio signal ground reference” connection for a powered subwoofer. 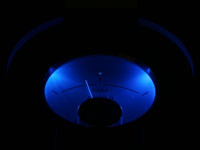 When a powered subwoofer is connected to the speaker-level connection (rather than connected to the line-level connection from the preamp output) the subwoofer amplifier negative connection should be made to a negative (-) zero-voltage ground reference. This connection should not be made to an amplified negative output. All Pass Labs X amps (all X, X.5, XA and XA.5) have amplified negative speaker outputs because the amps are internally a bridged design. The signal ground pin makes connecting a subwoofer extra easy and safe. 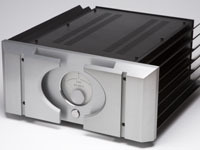 Connecting a powered subwoofer to the amplifier negative output terminal will damage some subwoofers and may damage the power amplifier. How do I connect a powered subwoofer to an amp without a signal ground pin? 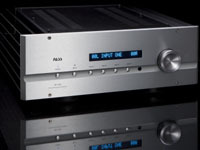 First, consider using the line-level connection from the preamp output as this eliminates all issues of negative speaker terminal connections and potential conflicts. 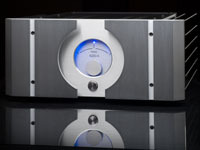 In the case where you most want to use the speaker level connection, the powered sub must be connected to a negative zero-voltage ground. Make the negative connection to the negative terminal of the power amp input not in use. If you are connecting your preamp to the power amp using the XLR input to the amp, then use the negative (shell) connection on the RCA connector to supply your sub with a negative ground. And if you are connecting your preamp to the power amp via the RCA connector, then use Pin #1 in the XLR connector for a signal ground reference for the sub. All full-range speaker systems of which we are aware today that have a built in amp for the sub woofer (like Martin Logan speakers) do not have a conflict using the amplified negative to power their amps. Many powered subwoofers also do not have a problem being driven with an amplified negative signal; check your sub’s owner’s manual. When do capacitors need to be replaced? Caps give years of warning before they need to be replaced. If the amp is humming though a speaker, then it might be time for replacement. If an amp has been placed in a closed cabinet and overheated, then this abuse can cause cap failure. If an amp has been modified by a consumer, and subsequently damaged, caps may need replacement. 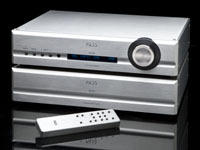 Pass Labs Refurbished product offered by Reno Hi-Fi always has capacitors and all other electronic components checked for soundness, and any electronic component that is remotely marginal is replaced. PASS refurbishing also insures that the product has not been tampered with or modified by a consumer.